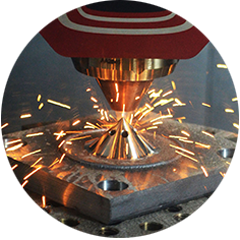 Structured Light Scanning/Reverse Engineering | Connecticut Center for Advanced Technology, Inc.
Quality Inspections and Reverse Engineering Made Easy and Affordable. Are you searching for an easy, cost-effective way to get precise product inspection data or create 3D models from existing parts? 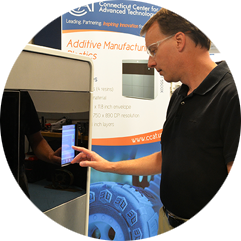 At CCAT, you have access to the latest structured light scanning technology for your quality inspections and reverse engineering. 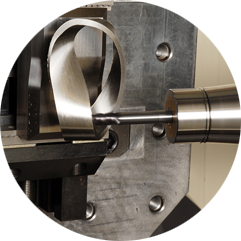 Inspect and validate geometric dimensions (parts up to 120 inches cubed) and tolerance accuracy (+/- 0.0005 inches). Use the technology as a standalone system or for on-machine configurations. 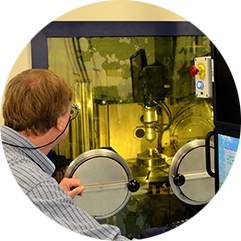 Generate digital, highly-accurate, customized AS9100 inspection reports. Reverse engineer the 3D geometry of parts. Develop CAD drawings rapidly from “gold standard” parts. Results can be provided as a point cloud (ASCII or STL format) or solid model (SolidWorks® or Siemens NX format).